Celtic Fractal Heart Cross Stitch Pattern to print online. 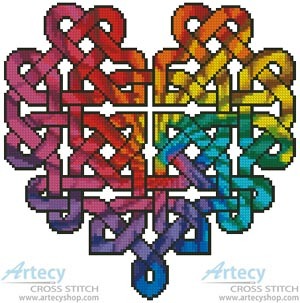 This counted cross stitch pattern is of a Celtic Heart with a fractal design inside. Original Celtic Heart design was created from the Celtic Knot Font from www.Clanbadge.com. Fractal Design was created from an image copyright of Christopher Ursitti - Fotolia.